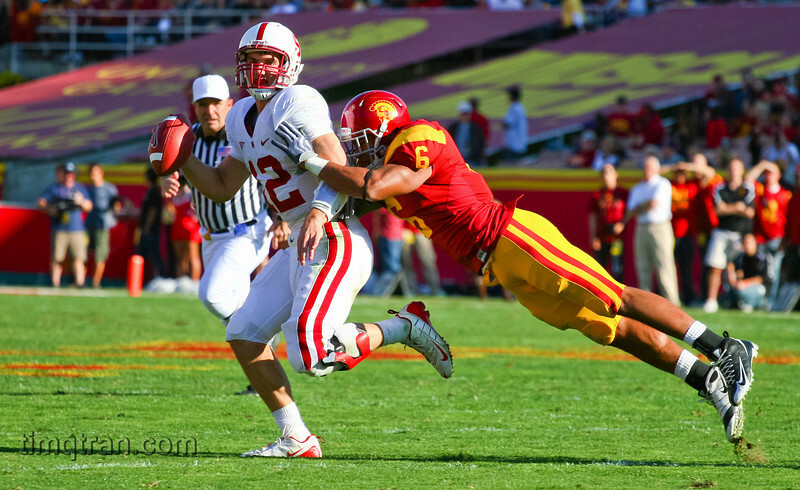 A sample of my best work from a variety of photographic genres. 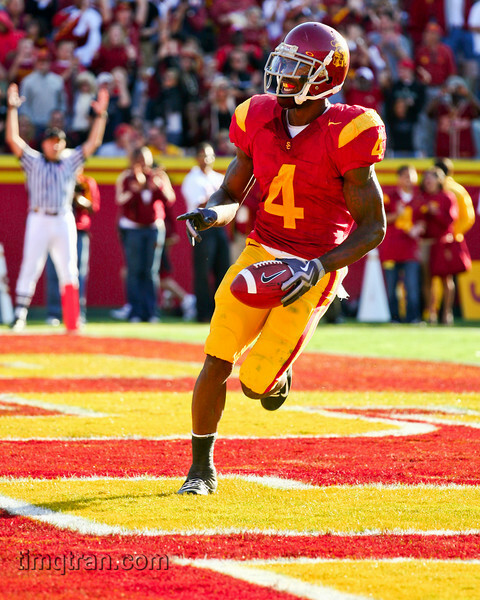 Joe McKnight of the USC Trojans celebrates a touchdown during the NCAA football game versus Stanford on November 14, 2009. 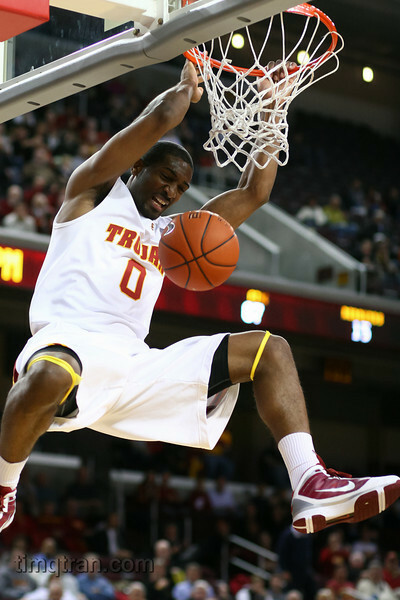 #0 Marcus Johnson of the USC Trojans dunks the ball during the NCAA mens basketball game versus the Washington State Cougars on January 21, 2010. 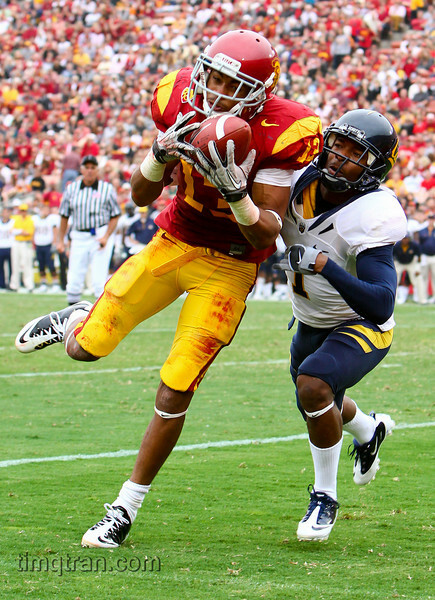 Freshman #13 Robert Woods of the USC Trojans hauls in a catch while being defended by California Golden Bears #1 Steve Williams during the NCAA football game on October 16, 2010. 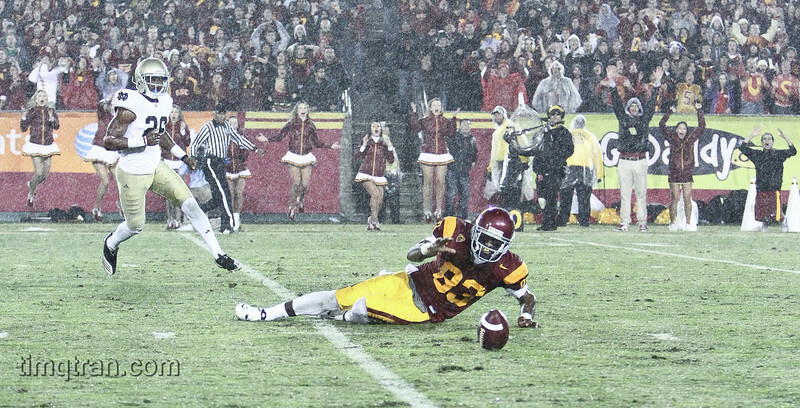 The crowd explodes after #83 Ronald Johnson of the USC Trojans dropped a potentially game winning pass during a NCAA football game versus Notre Dame on November 27, 2010. 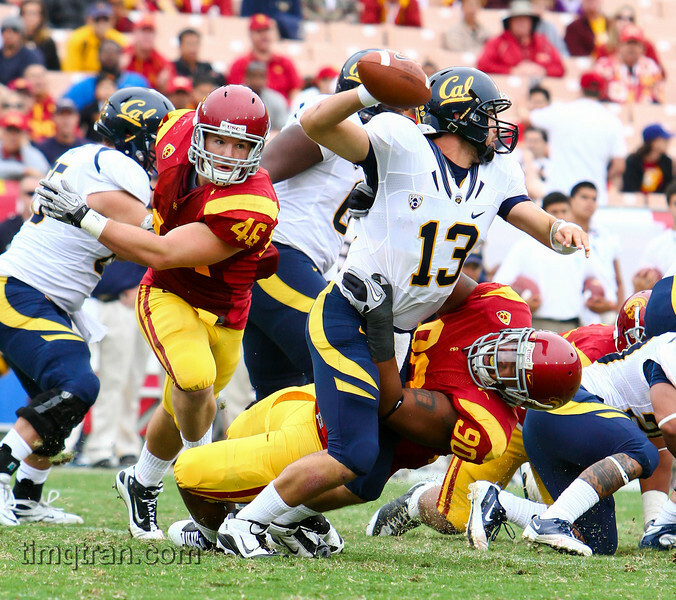 #90 Derek Simmons of the USC Trojans sacks #13 Kevin Riley of the Cal Golden Bears during their NCAA football game on October 16, 2010. 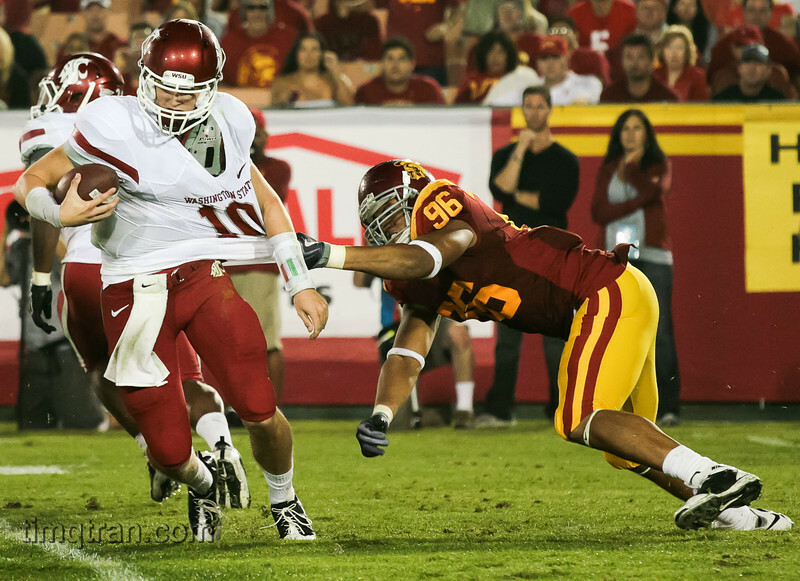 #96 Wes Horton drags the jersey of Washington State quarterback Jeff Tuel during the NCAA Football game on September 26, 2009. 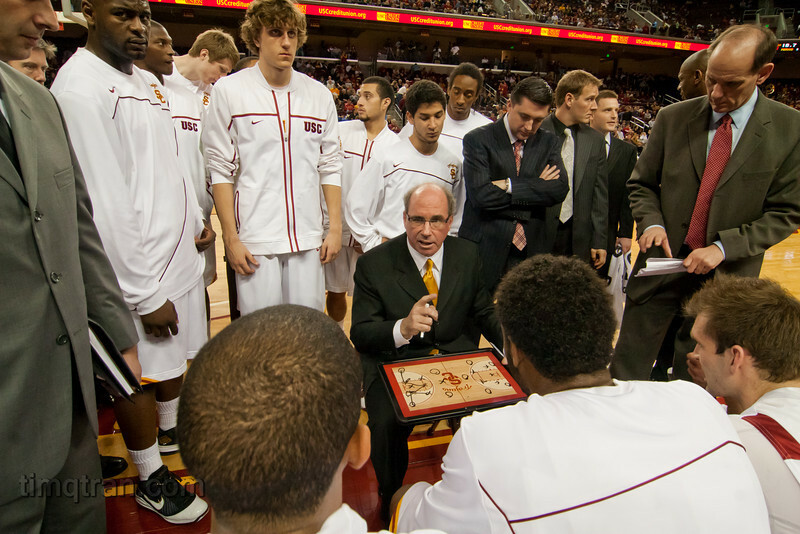 Coach Kevin O'Neill takes a timeout to explain the game plan during a NCAA men's basketball game versus Oregon State University. 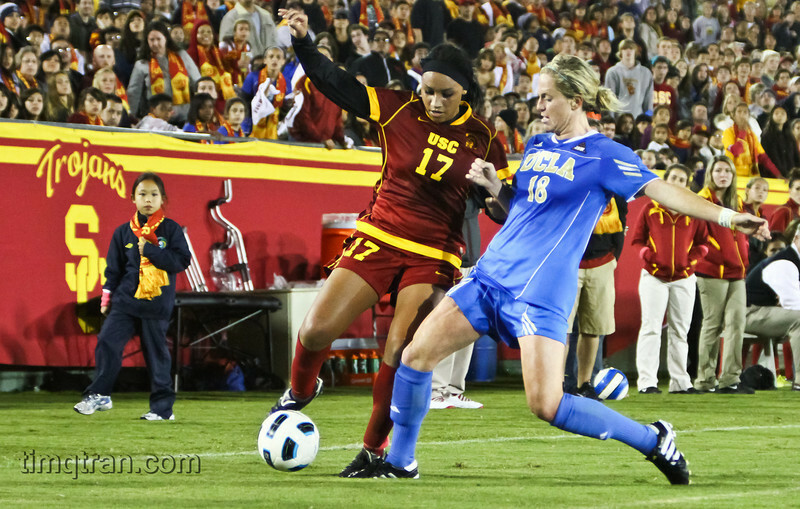 #21 Doreena Cambell of UCLA attempts to block a shot by #21 Rosalyn Gold-Onwude of Stanford during the NCAA PAC 10 Women's Basketball championship game on March 14, 2010. 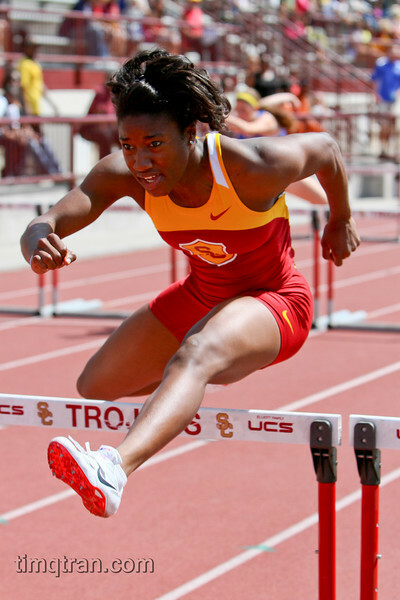 Shalina Clarke (Senior, Business Administration Major) won the Women's 100m hurdles with a time of 13.69 during the 2010 Trojan Invitational Track Meet. 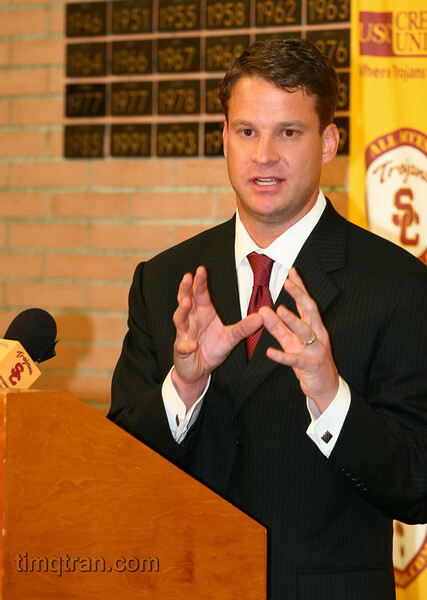 Lane Kiffin speaks during a press conference on January 13, 2010 announcing his acceptance of the Head Coach position for the USC football team. 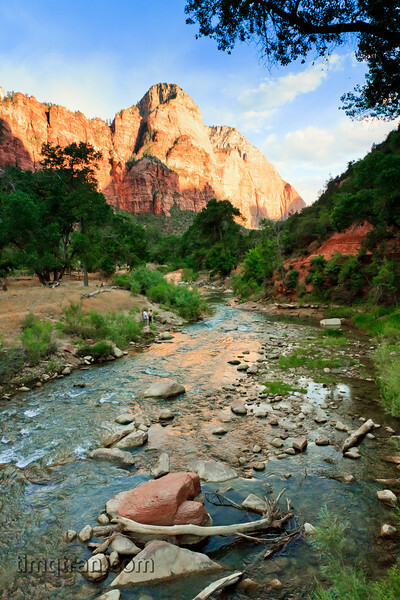 The gentle Virgin River carved this canyon out of massive mounds of sandstone. 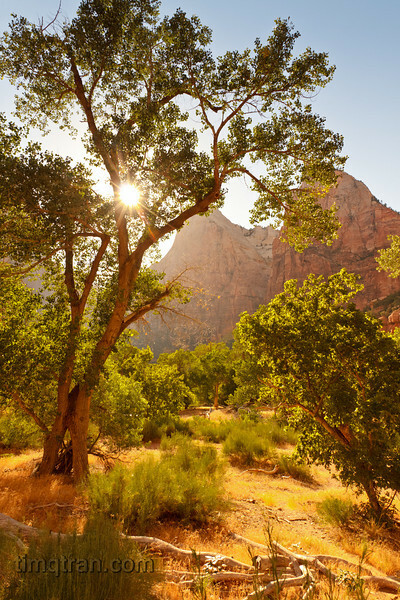 The Three Patriarchs look over a sunlit tree on the valley floor. 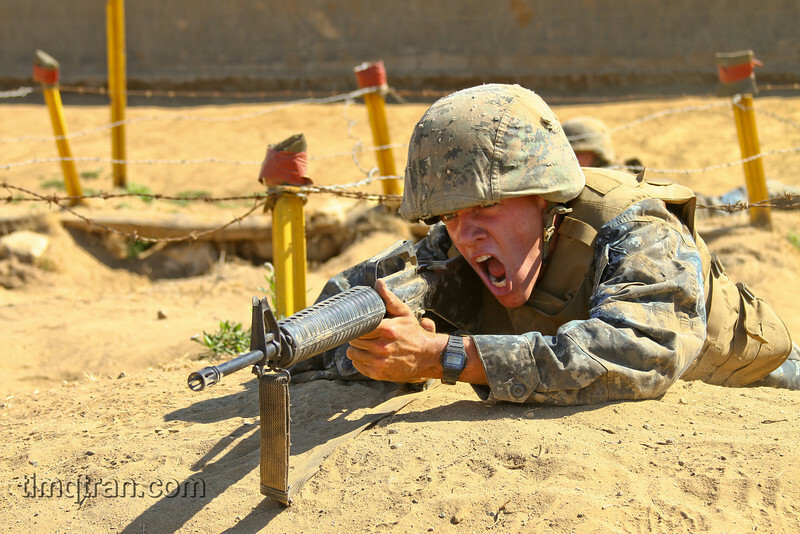 MIDN 3/C Robert Mackay yells orders to his fire team while conducting the Infiltration Course at Camp Pendleton. 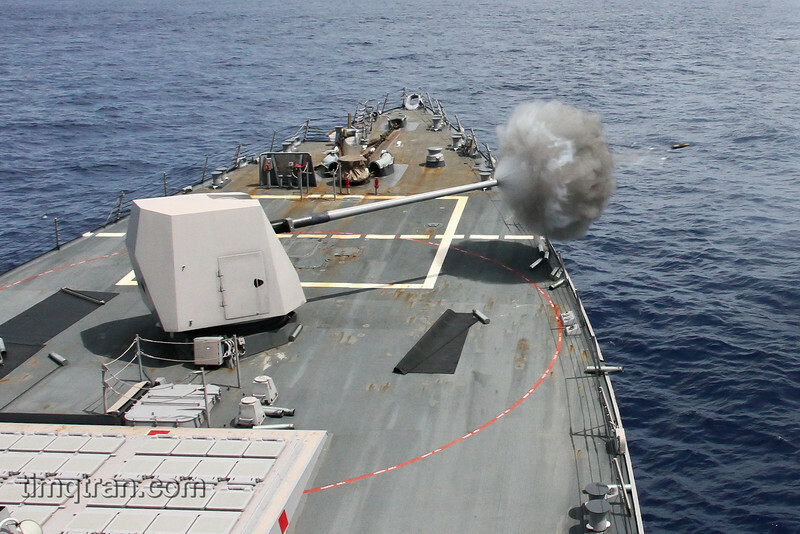 USS Mustin (DDG 89) fires her 5 inch gun while conducting Naval Surface Fire Support (NSFS) qualifications. The ship fired at land targets to practice supporting an amphibious invasion. 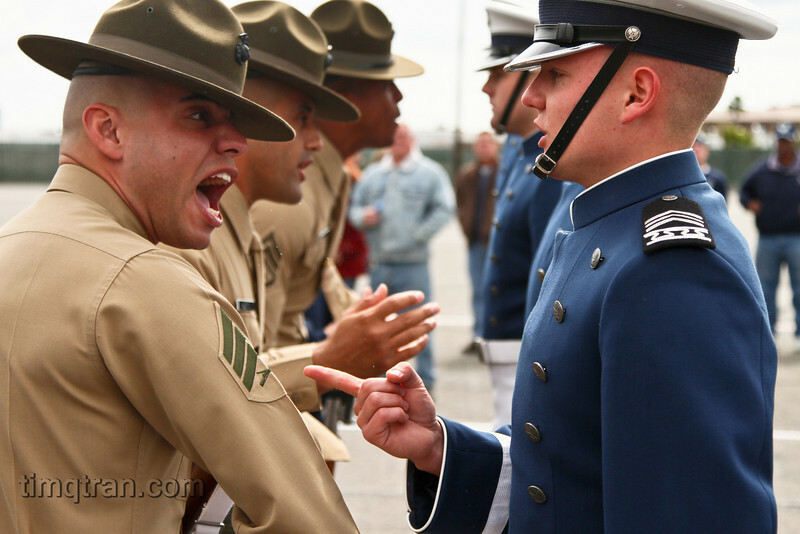 Sergeant Brian Rodriguez, a Marine Corps Drill Instructor, inspects an Air Force Academy Cadet at the 2010 Southern California Invitational Drill Meet, which was hosted by the USC Air Force ROTC Det. 060. This competition featured more than more than twenty six competing schools at the university and high school levels from across the nation.